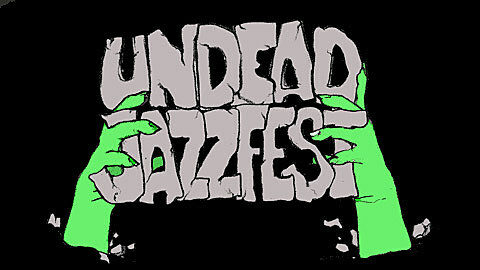 Founded in June 2010 the Undead Jazzfest is new kind of festival, bringing together an incredible array of artists from the new jazz and improvised music community currently exploding in New York City. With no headliners, affordable tickets, unorthodox venues and no drink minimums, the Undead Jazzfest aims to shake the public perception of what jazz can be today, celebrating the incredible music being made in a setting that is inviting to both the veterans and curious new fans. Encompassing eleven venues over its four days (6/23 – 6/26), the Undead Jazzfest will feature appearances from more than 50 bands including names like Marc Ribot, Elliott Sharp, Genesis Breyer P-Orridge, Mountains and many others. The full list of participating bands is below. Four day passes are on sale for $45 until 4/28. The price increases to $50 after. Undead Jazzfest is also responsible for curating another show outside of said festival, this one going down at Central Park Summerstage on June 11th with Medeski Martin & Wood, Josh Roseman’s King Froopy All Stars and Jim Black’s AlasNoAxis. It’s one of many free 2011 Summerstage shows that have been announced. AND, Undead Jazz presents a show at Le Poisson Rouge tonight (4/25) with Orchestre National de Jazz with Daniel Yvinec and John Hollenbeck Large Ensemble with special guests Theo Bleckmann , Kate McGarry and Uri Caine. Undead Jazz also presents Todd Sickafoose’s Tiny Resistors and Mary Halvorson Trio at the same venue on May 18th. Full Undead Jazzfest 2011 lineup below.